How to create an online e-commerce store without technical skills. You have a small business. You want to setup an online ecommerce store to make it bigger. But you are not sure how. What will be the cost, which technology to use, whom to hire. Sounds familiar? You don't need to be a technical person to set up an online ecommerce store. Neither do you need to spend huge amounts of money and wait for months to see your online store up and and running. 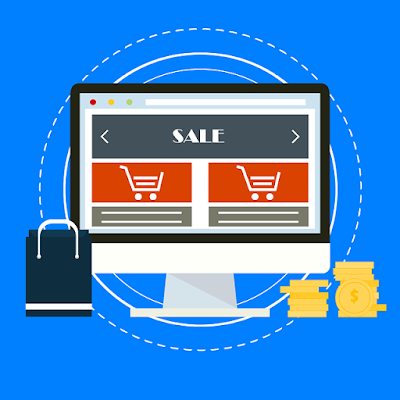 There are some great online, DIY ( do-it-yourself) solutions that will help you have a web store up and running in no time, with integrated payment gateways and hundreds of products. What's more, most of these stores have Paypal and other popular payment facilitators pre-integrated. Integrating third-party payment gateways is also quite simple, as compared to a website that is being built from scratch. Even if you have a software development background, it makes a lot of sense to use your time to develop and quickly launch your idea, rather than spending months on coding a new website. What are the popular options for setting up a DIY e-commerce store? Which software solution is the best for your own e-commerce store? Q: Can I try one of these Online Store Builders before I pay up for my e-commerce store? A: Yes, most of these e-commerce site solution providers offer a free trial before you pay up. This trial period is in the range of 2 weeks, which should be good enough for you to explore their tools and features. Q: I want my own logo, banner and brand colors on my e-commerce store. Is that possible? A:Yes, you can customize your e-commerce store with your logo, banner and brand colors. Q: What if I need help in setting up/managing/customizing the store? A: You can hire professionals who work on a per hour or per contract basis to help you with tasks that are too technical or time-consuming. Q: Are these platforms scalable? Can they cope with sudden spikes in traffic? Q: What about my data? Is it safe? A: Your data is much more safer on these platforms as compared to your own private server or a hired space which is managed by a small local team. Paid platforms like Shopify have qualified people working on the safety and staying up to date on the latest security threats and counter-measures. This is hard to achieve with any local team. Q: What if I need additional features that are not built in? A: Most stable and advanced platforms like Shopify offer integrations with 3rd party apps. Sometimes it's as simple as subscribe, setup and go. What might take months for your website development team to code is many times available immediately as a plugin or 3rd party app. Less time spent waiting for a feature, more time selling! Do you have more questions? Do you need help with setting up an e-commerce store? Write to us @ contact at scriptshaala dot com, we'll help you.